How do you pay for Assisted Living? As senior housing advisors, we speak with many clients who need assisted living and not sure how to pay for it. There are some resources that you may be unaware. Medicare will only pay for care in Medicare-certified skilled nursing facility or through Medicare-certified home health or hospice agencies. It will never pay for care in an assisted living facility. The Medicaid Waiver Program is available throughout the state of Florida, however interested applicants should be aware that unlike other Medicaid programs, this is not an entitlement. One may meet all the eligibility requirements only to find that there are no available rooms and they are put on a waiting list for services. It is important to note that not all assisted living facilities accept the Medicaid Waiver Program and it might be necessary to move out of the area to find a facility that accepts it. Typically, the Medicaid Waiver Program only pays for a portion of your rent and does not pay for care-related charges. One should contact their local Area Agency on Aging to learn more and determine if a wait list exists in their geographic area. 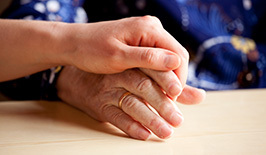 One program is called PACE (Program of All-Inclusive Care for the Elderly). If you qualify, PACE will cover all the medical, social and rehabilitative services you need, including items that Medicare does not cover, such as social work services, meals and nursing home care. You will receive all your health care (Medicare and Medicaid benefits) through the PACE program. There are eligibility requirements of the PACE program as well as stipulations that you must agree to qualify. Like the Medicaid Waiver program, only a limited number of assisted living facilities in our area accepts PACE. In addition, PACE is a state funded program with limited resources, therefore there are times when PACE stops accepting new candidates. For more information, contact the Florida Department of Elder Affairs. The Aid and Attendance Benefit offered through the Veteran’s Administration is not a well-known benefit, yet it could be one of the most important benefits you could receive. This program was established for eligible Veterans and their Spouses to help pay for assisted living, skilled nursing and home health care. The Veteran or Spouse qualifies for this benefit if their service, medical qualifications and financial criteria are met. The Veteran must have service one day of active duty during a wartime period and was honorably discharged. Spouses who have been divorced are not eligible. This program pays the Veteran or Spouse and not the assisted living facility, therefore it is applicable at all assisted living facilities. For more information, contact the Veteran’s Administration. If you have a long-term care insurance policy, you should review your policy to determine what it covers and what it doesn’t. Every policy is different. Many policies have an elimination period, typically 90 days and have specific guidelines about which type of facility they will reimburse. Usually, the long-term care insurance carrier pays you the benefit; therefore, providing the assisted living facility meets the criteria for reimbursement, you would be paid the benefit amount, not the facility. The most common way to pay for assisted living is out of pocket. People use their own investments or the proceeds of the sale of their residence. Family members also contribute. It is wise to speak to your financial advisor BEFORE you need assisted living and develop a plan for your future health care needs. These might include annuities, trusts, reverse mortgages and other investment strategies. Meals, housekeeping, home maintenance, transportation, social activities, utilities, cable, taxes and care are typically included in your rent, therefore your overhead expenses are many times less than what you are paying at home. Senior Housing Solutions is familiar with all the assisted living facilities in our area and can help find a ‘solution’ for you. Our services are 100% free! We are not financial advisors, therefore cannot provide financial advice. We recommend resources to help you every step of the way. For more information, please call (239)595-0207 or visit our website at: www.seniorhousingsolutions.net.